Yoni Dokko, MD is an attentive and detail-oriented general neurologist specializing in EMG and nerve conduction studies and serving patients in New York, NY. She treats a number of conditions including carpal tunnel syndrome, ulnar neuropathy, lumbar and cervical radiculopathy, peripheral neuropathy, seizures, headaches, migraines, dementia, and Parkinson’s disease. Dr. Dokko is board certified by the American Board of Psychiatry and Neurology in Adult Neurology. She received her degree from the University of Pittsburgh. She completed her residency and EMG fellowship at the Case Western Reserve University School of Medicine/University Hospitals in Cleveland. She is a member of the American Academy of Neurology. 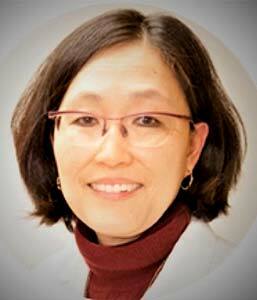 Dr. Dokko is affiliated with Mount Sinai Saint Luke’s Hospital Center. Dr. Dokko grew up in Pittsburgh before moving to the New York area with her family. She is currently practicing in midtown at The Manhattan Center For Headache & Neurology. Dr. Tanesha Reynolds, DNP, is board certified by the American Academy of Nurse Practitioners (AANP) and board certified by the American Nurses of Credentialing Center (ANCC). 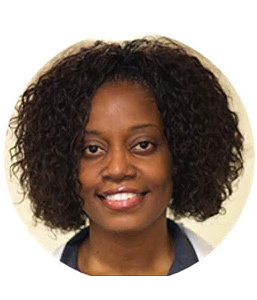 Tanesha received her Doctor of Nursing Practice from Walden University and has been specializing in Neurology and treating headaches, strokes, in addition to many other neurological conditions since 2015. 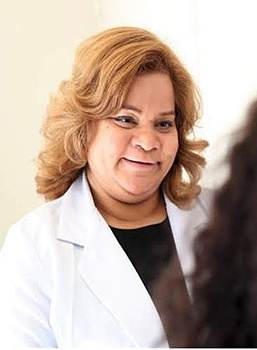 Tanesha Reynolds follows Dr. Halpern’s model of concierge-style medicine, providing patients with prompt, personalized service at The Manhattan Center for Headache & Neurology, conveniently located in midtown. Rajni Bala, NP, RN is a member of the American Nurses Association. Ms. Bala received her Master’s degree as a Nurse Practitioner from New York University and obtained her Nursing degree from Hunter College. Rajni has been working with neurology and stroke patients since 2001. In addition, Ms. Bala specializes in Adult and Gerontology care. 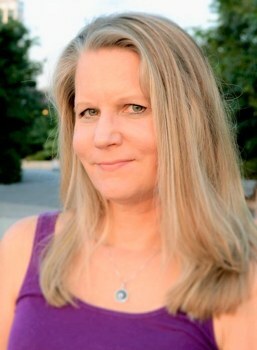 She has been mentored by Audrey Halpern, MD to treat patients for headaches and migraines. Rajni closely follows Dr. Halpern’s model of concierge-style medicine, providing patients with prompt, personalized service at The Manhattan Center for Headache and Neurology, conveniently located in midtown. Rajni is a caring provider who believes in patient centered care. Together, Rajni and The Manhattan Center for Headache and Neurology will work relentlessly to provide a holistic approach to treatment for their patients.